A beautiful terrace design makes the most of natural light and airflow. Interesting ceilings – whether angled, with skylights or laced with branches, help to achieve this, while still providing a modicum of shade. A monochromatic or natural color scheme is best, highlighted by a few token plants. Check out this gallery to see how you can play with materials and texture to draw the eye. 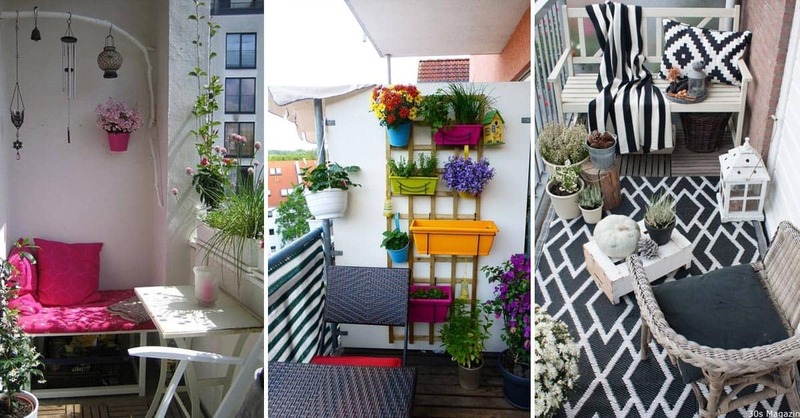 If traditional flower beds aren’t for you, get on trend by decorating with succulents. 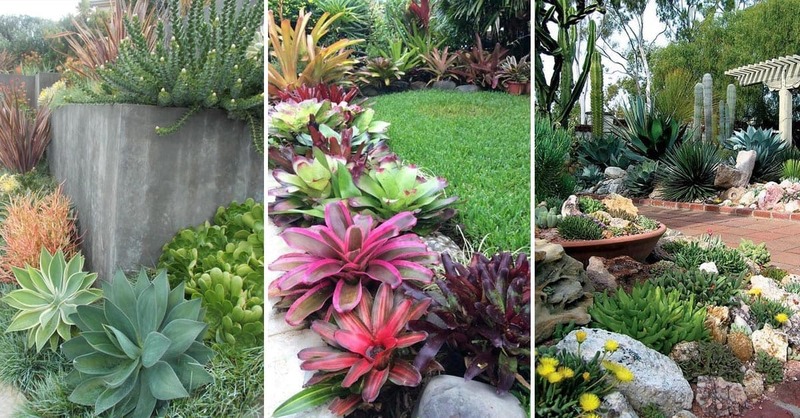 The sheer variety of succulents makes it easy to create an eye-catching feature that varies in height, color, shape and texture. Keep it soft with pale pinks and hues of muted green or channel desert vibes with scorching oranges, deep burgundies and deep greens. 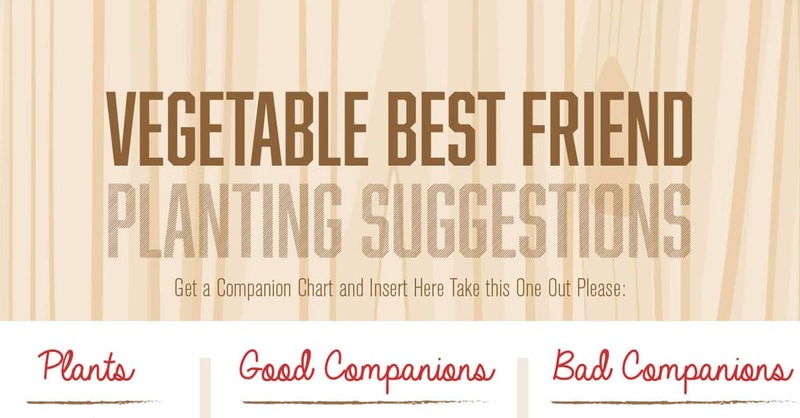 Click through for our favorite ideas. 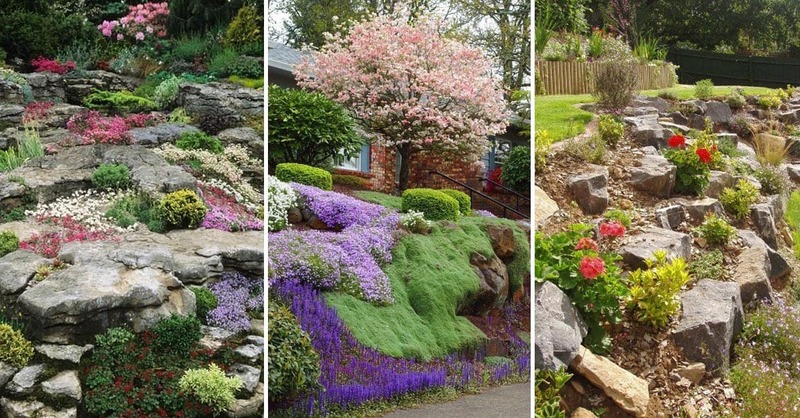 Rock gardens are the ideal way to resolve backyard height differences while keeping things pretty. Nestle succulents among larger rocks and then top up with pebbles. Flowers with tiny heads look spectacular, particularly when you create patches of them in different colors. If you’re trying to disguise the rocks, you can allow thick mosses and taller bushes to grow over them. Check out this gallery for ideas on how to plan it out and keep it orderly or create a more unstructured look to suit your aesthetic. 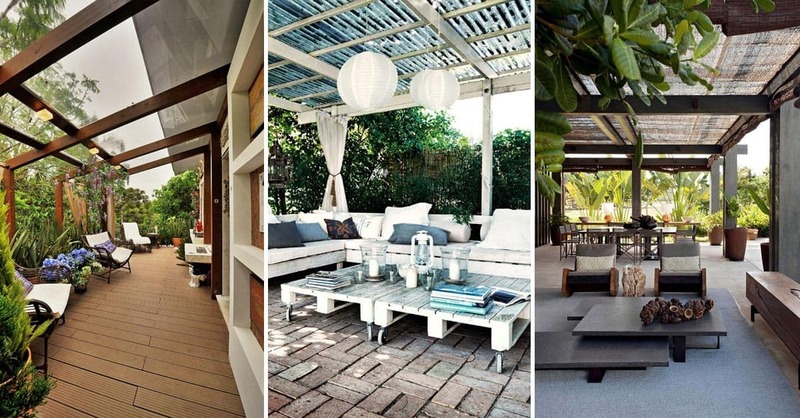 A patio is such a versatile space, creating a sense of transition from the inside to the outdoors beyond. 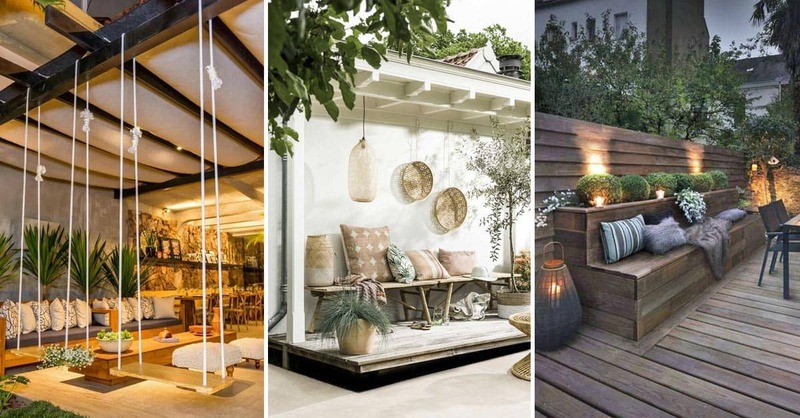 These days, the trend is to decorate a patio much like an indoor space, with plenty of seating and cushions and even rugs to create a sense of coziness. Timber painted white, and monochrome prints predominate with some natural fibers and a splash of color sneaking in too. 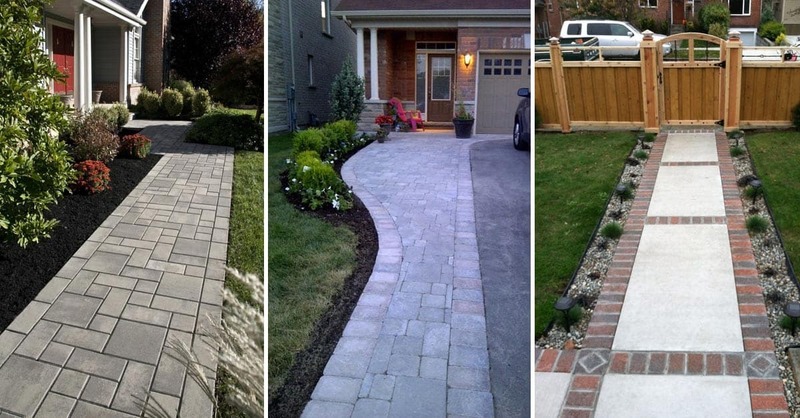 Get motivated for a patio makeover with our selection of the best ideas right here. 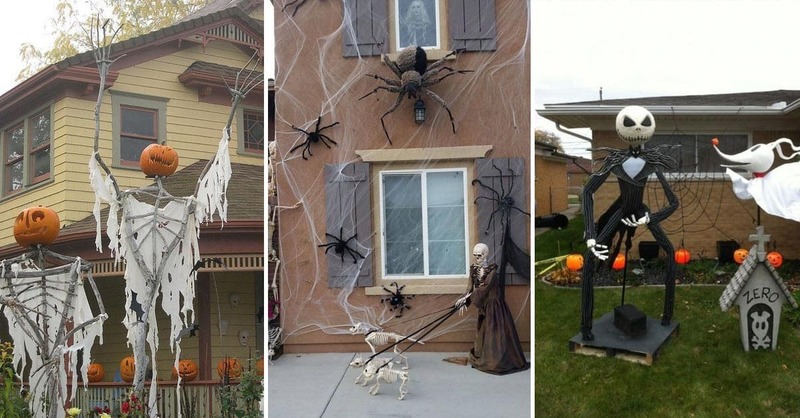 It’s not just kids who love treehouses. 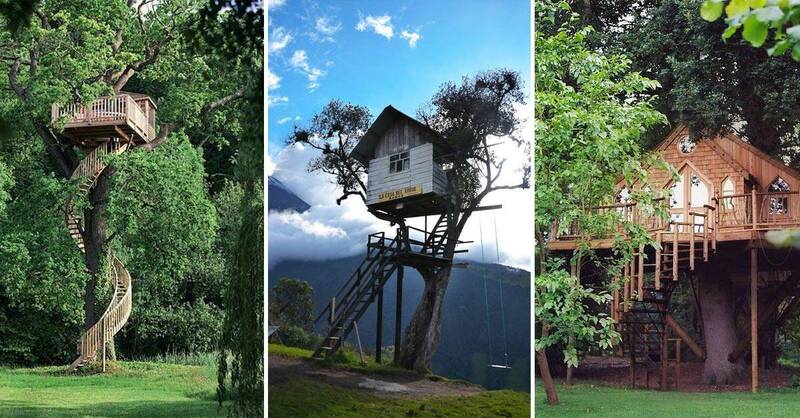 As an adult, a treehouse can provide the perfect escape, just like a mini-vacation. 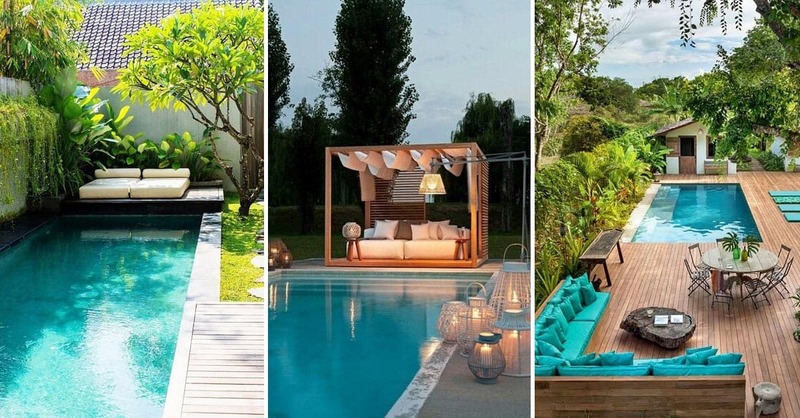 Add hammocks, a pretty view and some mood lighting. For a royal touch, arched windows and a spiral staircase are a must. And if you are going to share with the kids, swings, slides and flying foxes will turn it into the ultimate playground. See the best ideas here!